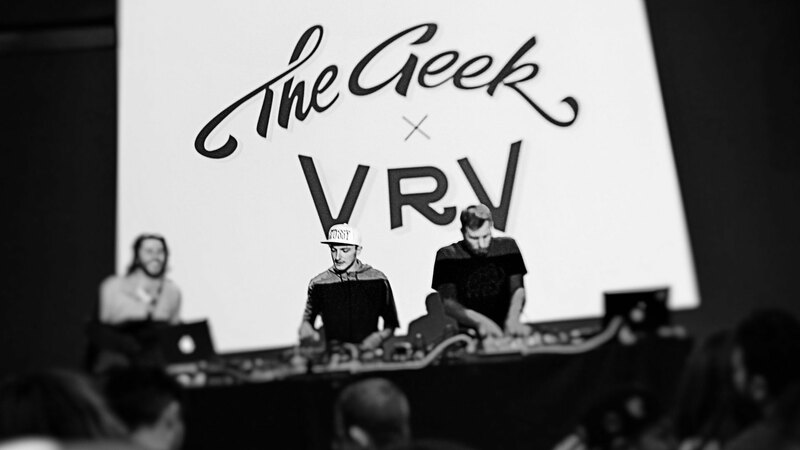 The incredible rise of the "The Geek X VRV"
he group, composed of 26-year-old Axel Rondeau—better known as “the Geek”—and 21-year-old Vincent Teoule—or VRV—released their first track in November of 2013. Despite the relatively short amount of time the duo have been working together, The Geek X VRV has already begun to achieve significant levels of notoriety. According to music journalist Jeremy Greenberger, "What makes The Geek X VRV so special is their ability to combine both electronic and hip hop into one fluid sound. And it’s because of this unique hybrid they’ve really been able to establish themselves in the electronic music scene." Even with The Geek X VRV’s newfound fame, however, the French duo have managed to remain humble. "It’s cool. It’s really cool to have people who listen to our work, it’s amazing. Really. It don’t change anything from before, because we make music since a long time, so it’s like before. But we can play our music live. It’s amazing for us," says Teoule. On Thursday, April 9th, The Geek X VRV made the second stop on their long-awaited American debut tour, preforming live in Chicago at The Chop House located in Wicker Park. If one thing became certain throughout the night, it was that The Geek X VRV’s fans are not the only ones still in awe. By all accounts, the future looks quite bright for The Geek X VRV.